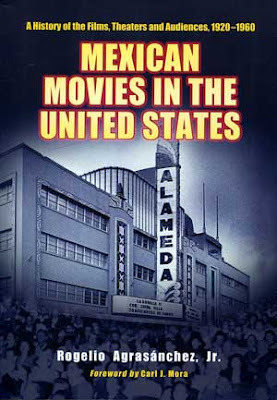 This book was born from a pile of documents, specifically the records of Clasa-Mohme, Inc., one of the largest US distributors of Mexican movies. Author Agrasanchez was a devoted collector of Mexican movie posters, and his search for new treasures led to the astonishing discovery of the booking files, box office receipts, correspondence and other assorted documents in these files. They were essentially a history of Mexican movies in the United States. Agrasanchez expanded his research to tell the story of an industry that has received very little attention to date. From the silent age to the explosion of the home video market in the 1980s, there was a thriving market for theaters showing Spanish language movies. These movie houses flourished in little pockets of the United States, from establishments that catered to Puerto Ricans in New York City to the hundreds of theaters that served Mexican immigrants in Texas and California. The films on display in these theaters came from all over the world. Many came from Argentina and a small percentage arrived from Spain. Hollywood also attempted to produce its own Spanish language movies for a while in the thirties, but while the industry got the language right, it could not capture the essence of Latino culture. It was the Mexican films that dominated this thriving industry. Glamorous stars like María Félix and Dolores del Río were the charismatic beauty queens, while handsome Jorge Negrete and Pedro Infante serenaded their audience with lively songs. Any theater looking for good box office was sure to find a hit with any film starring comedian Cantinflas. Some of these stars made appearances and even found some fame in Hollywood and European movies, but they were the royalty of the Mexican industry. Theaters would often book live appearances of stars to boost box office income. In order to stay in business, these show places had to pick their titles carefully. Some genres, such as melodramas, musicals and action series almost guaranteed strong returns. With an eager audience and weekly changes, these theaters would make thousands of dollars a few pennies at a time. I got an exciting glimpse of this world from the book, though it took me a while to become fully engaged. Part of the problem is that it is organized by city, with each chapter telling the story of the industry theater by theater, in a specific location. 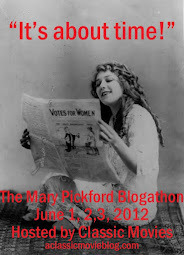 While this worked for the individual chapters, as a whole it led to a lot of repetition. I read essentially the same information about various stars, movies and audience habits a few times over as I progressed through the book. Overall, this is a fascinating resource. It is a detailed and intelligent analysis of both the phenomena of the US Mexican movie industry and the character of its audience. From the legendary theaters to the stars that drew audiences to them, I felt like I had entered a new world reading about this once thriving industry that seems to be mostly forgotten today. Thank you to McFarland for providing a review copy of this book. It can be purchased via their website and order line, 1-800-253-2187. Now I am eager to see some of these movies that inspired so much enthusiasm in their audience that they would line up around the block to see them. Here are a few clips I found of some of the biggest stars. I know nothing about these films, which makes them all the more exciting to me! I have way too many of these film history books but they're always great reads! I know, I've got at least a dozen movie books that I've never read. I get so excited when I find them, but then I forget about them. That's the great thing about reviewing books; you've got motivation to read them right away!